If you run your company’s website, you’re probably well aware of how algorithmic penalties can affect your site. And although you may feel that you’re following the rules Google has put in place for SEO best practices, there are still some websites that get hit pretty hard by new algorithm changes. According to this blog post from Supple Solutions, being hit by a penalty can be even more devastating when you either don’t notice it for a while or it’s a penalty that takes a lot of time and effort to overcome. To help your website get back on its feet after an algorithmic penalty, here are three things you can do to help your site recover quickly. 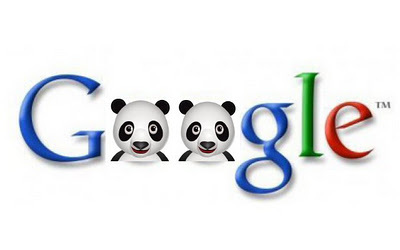 According to Mark Walters of SEOMark, there are two types of algorithmic penalties from Google: Panda or Penguin. Panda penalties are caused by having a site that isn’t useful or has bad content. Penguin penalties are caused by your website being spammy. In order to address either of these problems, you first have to know which type you’re dealing with. Once you have it figured out, it’s important to start taking steps to alleviate these problems immediately in order to get your site’s rankings back up as soon as you can. Coming back from these penalties can take time, so you want to jump on it fast. If you have a large site, trying to find the culprit for your penalty can seem daunting. You may have some good stuff on your site that doesn’t need to be fixed or updated. At this point, Google has done a lot of updates on their algorithms, so if you’ve just recently been hit by something but have been fine in the past, it’s likely something you did recently that got you in trouble. Jonathan Guy, contributor to Moz, suggests starting by removing or redoing the most recent work you have done on your site. This is likely what Google doesn’t like. If you start here, you may find the problem sooner than if you attempt an entire facelift on your site. Starting your website with good habits from the beginning will help you to avoid being affected by algorithmic changes in the first place. Google has these in place to make sure that websites are giving their visitors what they need in an honest way. Some of the best habits to instill in your website, according to Neil Patel of QuickSprout, are knowing the rules for SEO, auditing your content regularly, having quality links to your pages, keeping current on algorithm updates, and creating quality content for every page of your site. Algorithmic penalties aren’t inevitable for every site. They can be avoided if you market your website well. But if you’ve let some things slip, address the issues and get back on the horse quickly to keep benefitting from your websites’ success.